I’m not one to even pretend that I’m knowledgeable about current fashion or even really care a lot about fashion. But I love creativity and I do find inspiration as I look around at the jewelry that is fashionable these days. Luckily big fun statement earrings seem to be all the rage! The first time that I felt inspiration to make these huge hoop style earrings was when I was watching Paula Abdul on American Idol a few years ago. She was often wearing these huge hoop style earrings. Sometimes just plain hoops and sometimes filled with designs. “I can make that with quilling!” and my head started filling with designs. Once it is dry I like to pin it to a corkboard (covered with plastic so it doesn’t stick) before making and gluing in the extra design pieces. This cork workboard even has a circle grid on it so you can make sure your circle stays perfectly even! I find that if you just free form glue the pieces in without pins in place the big circle gets uneven. You could also put liquid sealer on the big circle first to make it stiff before gluing in the inside design pieces. Ceramcoat All Purpose Sealer is great for this. Click here to read a post all about the sealer and how to use it. Once your design is complete, paint on a layer of the liquid sealer and let it dry before removing the pins. This will ensure that the design stays in shape. After you remove it from the board, flip it over and apply the sealer to the opposite side. Lastly attach your jump rings and earwires and paint on a layer of topcoat. Some that work great are Diamond Glaze or PPA (click on those links to read my posts about how they work as topcoats). 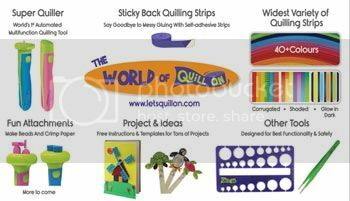 Are you new to quilling? 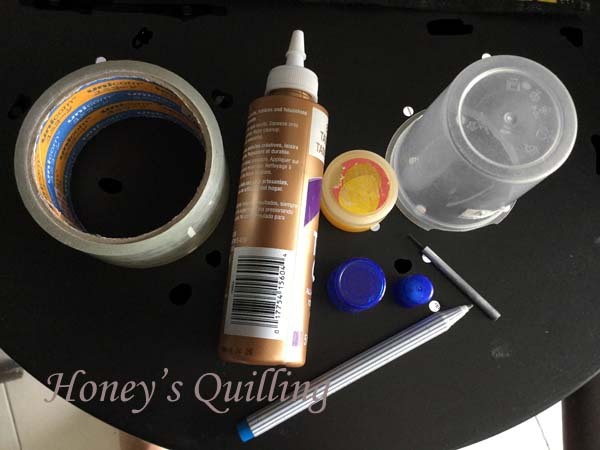 Click here to learn Quilling 101 – the basics! Click here to view tips for how to make great quilling jewelry! This was the first pair of huge hoop earrings I made. I love how the rust colored paper looks like wood after it is sealed. I made this pair of earrings back when I first started using niobium findings as well. Find these earrings for sale on Zibbet. Here you can see the big size of these fun earrings! Here is the second pair of huge hoop earrings I made. This combination of light and dark aqua has been very popular! This bold magneta pair was accented with some metallic white paint. Click here to read about using metallic paints with your quilled jewelry. The two tone aqua combo was so popular that I made a new design with it. This pair is smaller than the others here, but it’s still only for people who like BIG earrings! And last but not least, here is the largest pair I have made so far! Again I used the metallic mica watercolors on these. Click here to learn how to use them. Here you can see just how big these beauties are! All of these earrings, except the rust colored pair, have been sold long ago. I don’t personally wear must that is quite this big, but I do really enjoy making them! Seeing all of these in one page I am feeling inspired to make more! Do you like to wear huge earrings? 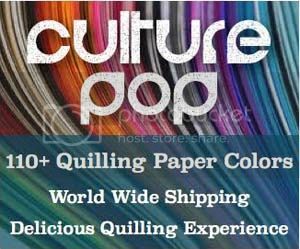 Have you made any huge paper quilled earrings? Feel free to link to them in the comments so we can all have a look! Thanks, Marissa 🙂 I hope you try it out! Thank you Honey for such an awesome blog.. All your posts are very helpful and interesting..